For a start, it's great for bad hair days. It totally frames an outfit in my humble opinion, I find that the outfit images I'm coveting most are all of girls wearing them. The first one I've picked out for you is a simple black fedora from Liberty, you really can't do wrong with something like this. Next is something for someone a little bolder, and a cracking £22 it's a brilliant way to test out a look. Well done, River Island for this leopard print beauty. Finally I love the bold colour of this ASOS one - a statement, colour block and fashion thumbs up in one. 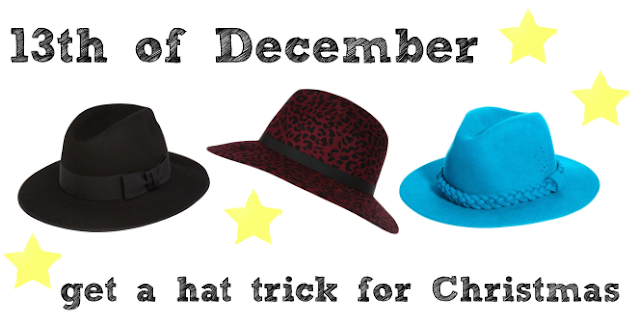 Perfect Christmas gift for any fashionista who has everything... but the hat.